River, like most young siblings, loves to do whatever his brothers and sisters are doing. Any projects, experiments, adventures ... he's right in there with him. He injects himself into their conversations, even those about what the older kids are learning in high school. This year Ian and Mia are in very engaging and exciting science and engineering classes and we've all been enjoying the journey through these classes with them as they spend most dinners hours talking about periodic tables and simple machines. 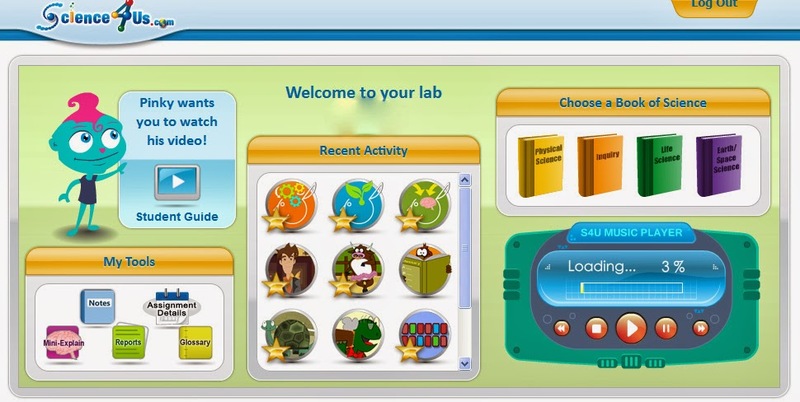 So when River was given a chance to do his very own online science program for a review, Science4Us.com Online Subscription, he was beyond thrilled. I'm going to admit that going into this I was a little leery. I've done online science classes with the other kids, usually beginning at a middle school level, and they've gotten quite a bit out of them, but really wasn't convinced that this was a class River would learn much from, considering that it wasn't a "hands-on" class. Before delving further into the program I expected him to get as much out of this as he does watching an episode of an educational kids show on tv. I thought the lessons would be over his head and he'd just like the games, even if he didn't do so well on them. I'm going to just cut to the chase here ... River LOVES his science program. River wakes up in the morning asking if he can do science, and will do the lessons and play the games as long as I'll let him. I LOVE River's science program. He's really mastering and understanding the lessons, and puts what he's learned into his everyday play. These lessons are much more intense than I expected a 5 year old to grasp, but he really gets it and has learned so much, and I know he can continue to learn and be challenged by this program. 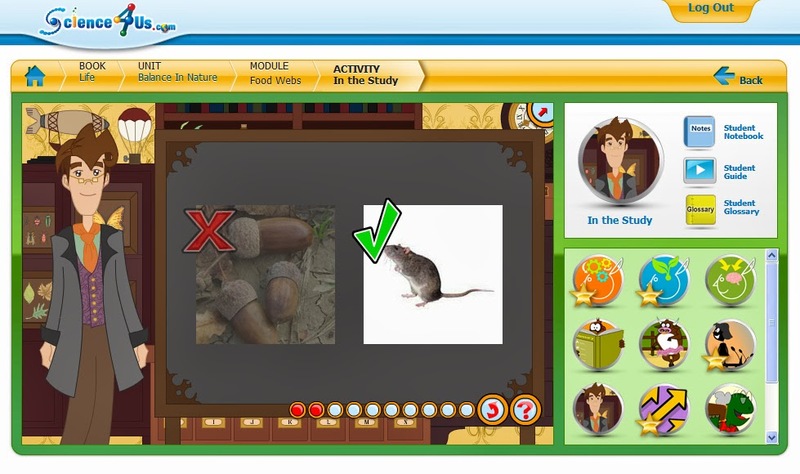 Each section is divided into topic modules, and each module contains three initial activities - Engage (determines student's beginning skill level), Explore (present the concept and begin the lesson, presented in an entertaining, personable, and educational cartoon format), and Explain (further lesson information). After completing those three activities the student can move on to the learning games, which River just couldn't get enough of. Each module contains quite a few activities and they can be played numerous times, so there's no getting bored or fear of the student feeling like he's "been there, done that". The games and activities sneak in math and reading too and River picked up plenty of new skills without even knowing he was learning them. But that's not all ... In addition to the student account (yup, each child gets their own account), there's a parent/teacher account. 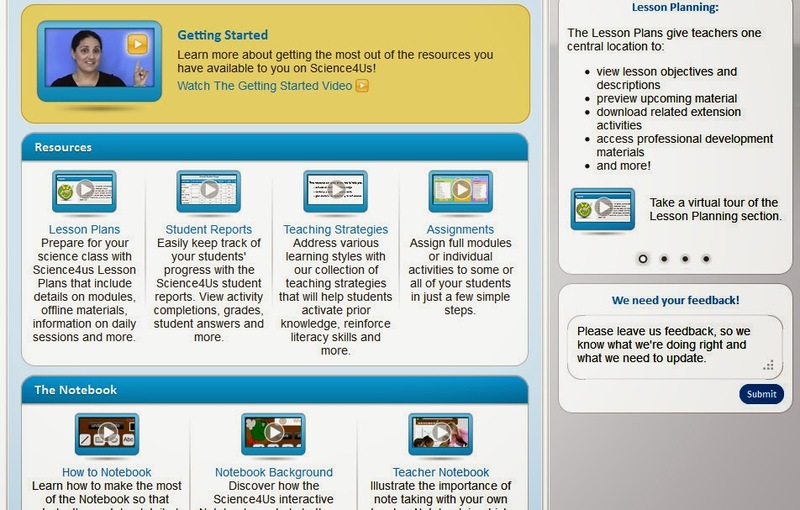 This account allows the parent to track their students progress through the program. 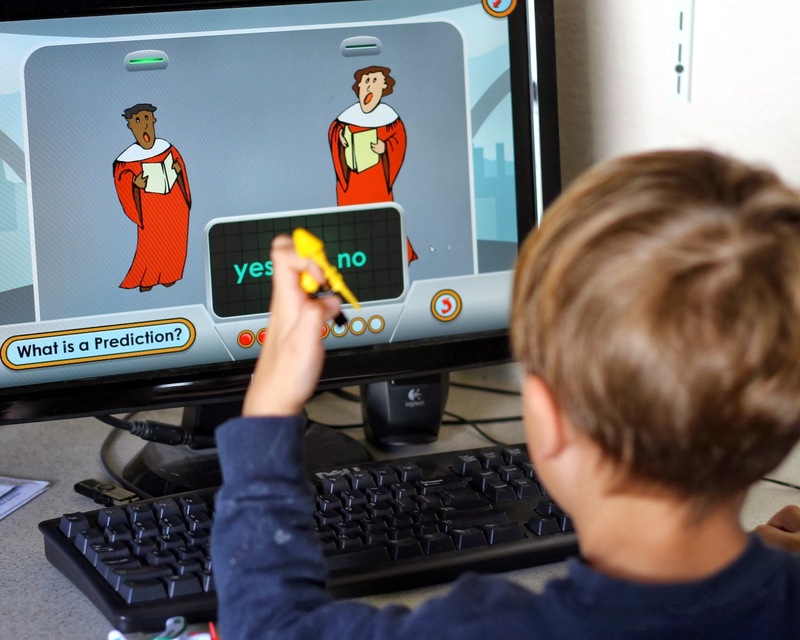 This account also provides detailed and extensive lesson plans and suggestions for how to teach individual modules (28 in all), the lesson plans include "hands-on" activities and experiments, to take what the child is learning on the computer and put it into their hands, as well as online virtual experiments for the students to do. There are also a dozen extensive help videos (that really do help! ), and I highly recommend starting with those. River is not yet Kindergarten age and is not doing formal school - I work at his pace and allow his learning to be child led, so I did not take full advantage of the parent account. We did do some of the lesson plan activities and had a great time, but I know we really could have done infinitely more - the resources available are so extensive and thorough. Instead I let him work through his student account at his own pace and while I think we'd have gained more by using more of the lesson plans (they're very complete and detailed), I'm more than happy with what he has learned so far. I chose to gauge River's progress by what I saw and heard, rather than by checking his progress in the parent account (again, were he older and using this as our formal science curriculum I'd have done it differently). The more he participated in the program, did the activities, and played the games the more he incorporated what he'd learned into his play. When his older brother had to do a survey on conservation River know was able to engage in the conversation, sharing what he'd learned about energy. His Lego creations now include a lot of incline planes. Oh yes, he was learning. River's review: It's online school where you learn stuff like pulling force, electricity and power from a power plant, ferns, and fossils. I got to scrape dirt off of fossils, play matching and sorting games, and learned a lot of things. I liked it because I learned a lot of things, had fun, and I'm really good at it.. In one of the matching games I got everything right and the game said, "This is no match for you. You got it all right. ", I liked that. 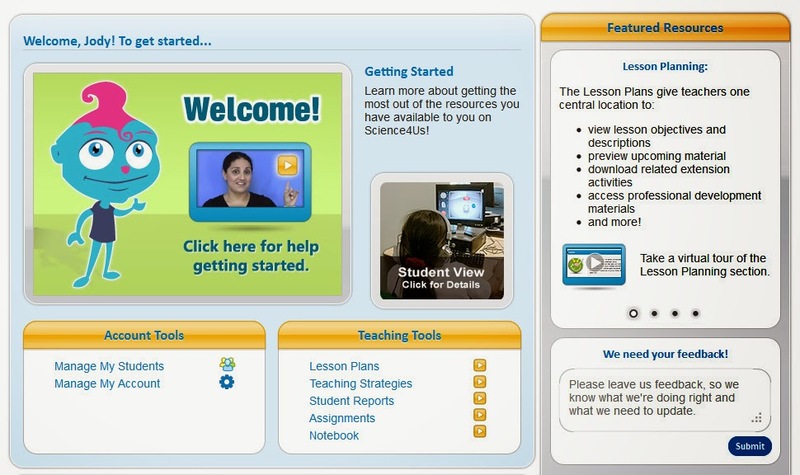 Science4Us.com Online Subscription is geared towards kids in grades K-2, but can also be used with upper elementary kids for review purposes. The program costs $7.95 per month, which is a great deal considering the quantity of activities and the vast resources provided. If you explore the program and try it out I'd love to know what you think.